We believe in the importance of saddle fit and locally made quality equipment. All Paramount saddles are designed and crafted to fit the horse and rider for optimum performance combined with a unique aesthetic. The Paramount brand stands behind tradition combined with modern technology, new schools of thought regarding saddle fit, and advancements in the understanding of anatomy and biomechanics of both horse and rider. The biggest difference that sets our brand apart is the knoweledge and experience in horses. Every Paramount saddle is designed and made by riders for riders. Would you like to try a paramount? I absolutely LOVE my custom-made Paramount saddle, and the high level of quality, attention to detail, and customer service the company has provided from day one. I had a very reasonable wait time on my fully-custom saddle, and it was hand-delivered to my farm to ensure proper fit for both myself and my horse. After-sales service is excellent, and Paramount also has a variety of gorgeous accessories to compliment my custom saddle. If you are a happy customer or client please share your love for your saddle or repair/fitting service our team provided. We appreciate all your testimonials! It is very important to us to make all of you happy. Send us your review by e-mail to irina@paramountsaddlery.ca. Paramount Saddlery announced a change in ownership during the Fall of 2018. 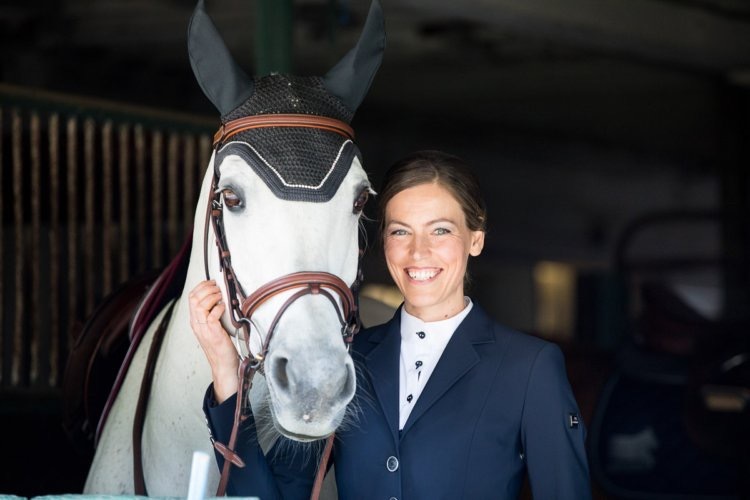 The new owners, John Banbury and Irina Pljusznyin take on an ambitious goal to become a vital part of North America’s leading saddle manufacturers and set an eye to the US market. The new ownership will allow for growth, a broader reach, as well as new research and product development with the most important goal in mind: the HORSE. SEE EXAMPLES OF OUR WORK - COMING SOOn! A vegetarian, lifelong horseman, Pony Clubber, working student, dressage rider. I competed at the NAYRC (North American Young Rider Championships) with my horse “Gromitz”. Today I have a keen interest in riding and training young horses at our family farm. After 25 years of being a saddle maker for Schleese Saddlery I took on a new and scary adventure to develop my own saddles. And the new Paramount Saddles were born. If I can grant that “feels like home” satisfaction when a rider sits in their new custom Paramount saddle the first time my brain whispers: “you really can do this” while the horse starts moving happy and free… then I’ll consider my job done. Yes, my last name is tough at first glance: Plusnin. I am a workaholic, perfectionist and ex-pro athlete, sports marketing and design professional, with so much love and passion for sports and everything design (and gluten free butter tarts from Tartistry). After 25 years of tennis I put down the racquet and pulled on some tall boots to start riding. I always loved horses, but I was not allowed to ride because of tennis. I knew I will end up riding one day. Recently I started competing as an adult amateur in the jumper ring aboard my much loved thoroughbred “Action” (“Line of Credit” is his show name). He is special! And the cute grey Kat? She is in foal, due April 2019.